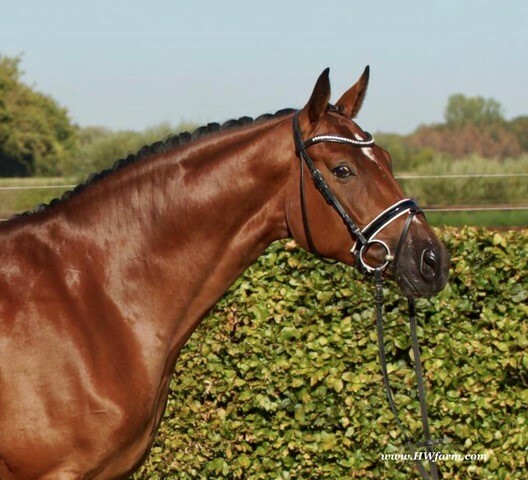 Quaterback is a stallion that seems like he could only come from another planet - with his light-footed, brilliant movement and perfect cadence, all eyes become riveted on Quaterback when he appears. 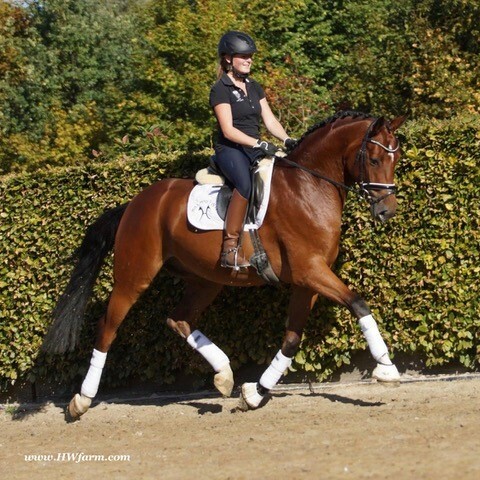 Licensed for Berlin-Brandenburg, Oldenburg , Hanoverian This exceptional moving young stallion has already started his winning ways. 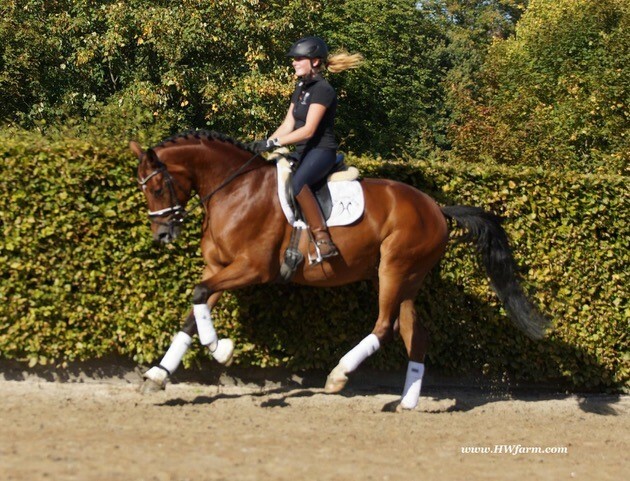 Paired with the talented young rider, Christian Flamm of Hessen, Quaterback galloped away from the competition at the Bundeschampionate in 2006. 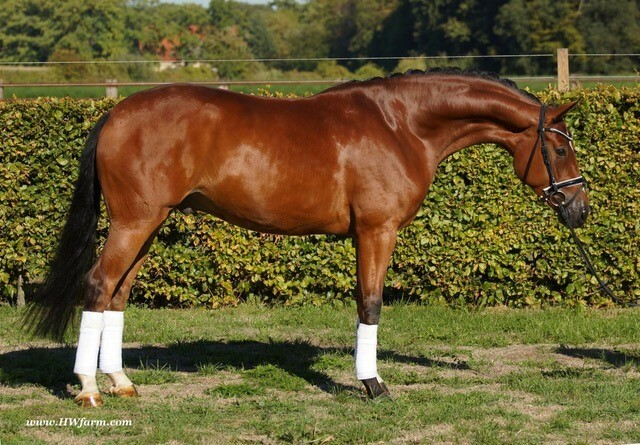 He started his stallion career by being named Champion of his licensing in Neustadt/Dosse in 2005. X-rays on file! 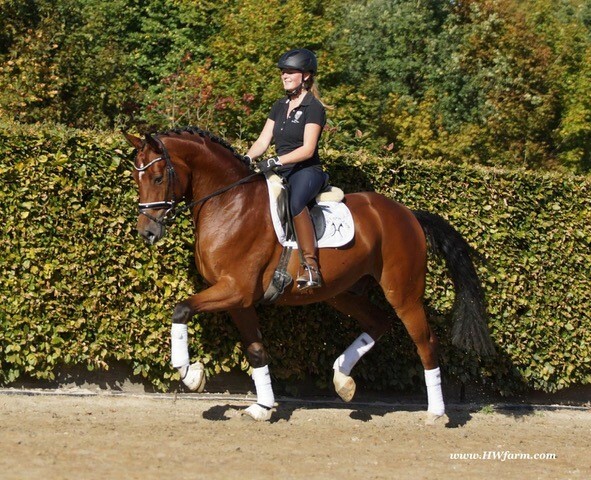 $80,000 - Including import and quarantine to NY, check out his video clip!! !